The Hutu and the Tutsi are two large ethnic groups that mainly live in Rwanda and Burundi. Although about 85% of Burundians are Hutu, the political power used to belong to the minority Tutsi. The social differences and ethnic tensions between the Tutsi and Hutu peoples led to political unrest in Burundi. 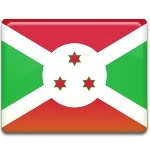 Since Burundi gained independence in 1962, there have been two genocides in the country. In 1972, mass killing of Hutus by the Tutsi-dominated army took place. In 1994, the situation was just the opposite, Tutsis were killed by Hutus. Besides, in 1993 Tutsi extremists assassinated Melchior Ndadaye, the country's first democratically elected Hutu president. The murder triggered the Burundian Civil War that formally ended in 2005. However, the situation in the country is still far from being stable. Unity Day is meant to reconcile the two ethnic groups. The ethnic hate has indeed subsided since the civil war ended, but there still are many problems to be resolved. The tension is still here.